Hi there! 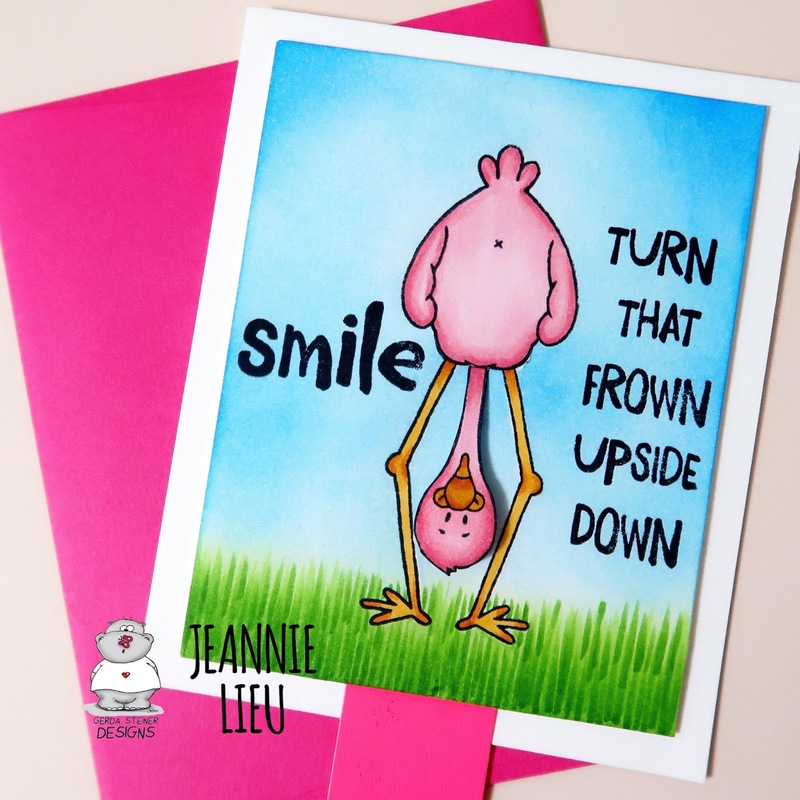 It’s Jeannie and I’m so happy to be back to share a card as an official Design Team member. 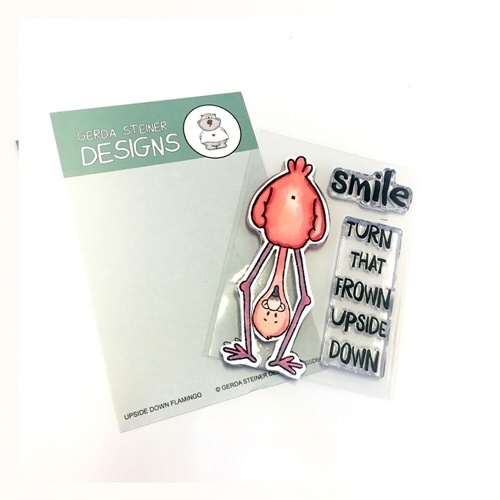 Gerda Steiner Designs recently released a handful of new stamp sets and they are all adorable! Today, I’m focusing one of the smaller sets, Upside Down Flamingo. This set comes with one large flamingo and two large sentiments. I think it’s such a cute image… it’s so silly and I love it! When I first saw this stamp set, I liked how the head was between the legs peeking at you. I thought it was perfect for an interactive card. Putting this together was a little tricky because I just wasn’t sure how to go about creating it but once I figured it out, it turned better than expected. It’s also just as silly as the image. Hope you love this card as much as I do. I think it’ll bring a smile to anyone’s face. It’s so random and unexpected. Hello there! I’ve had Simon Says Stamp’s Beautiful Flower stamp set for such a long time and I never used it because it is such a large floral image. I just couldn’t do it justice in my head. I finally pulled it out to create something super fun and outside my comfort zone. I usually am pretty OCD but with alcohol inks… you just can’t be. They have a mind of their own! Even if you loved how something turned out, the chances of you duplicating the same again, is nearly impossible. I decided for today’s card to let the image speak for itself. It’s only stamped and heat embossed on vellum and yet, it makes such a statement against the alcohol ink. I wanted to do a super colorful background and what is more colorful than the colors of the rainbow. Hi there. A couple releases back, I created some drop shadow postcards for Sweet Stamp Shop and I got a lot of questions about how I did it. I finally found the time to create a video to show off two ways of achieving this technique: using a scan n cut or using masking post its. It’s a pretty simple technique but it creates a super cool effect. This time, I use it as a more subtle part of the card since I wanted the focus on the main stamp image and the sentiment. I looooove tequila so it was the perfect time for this. 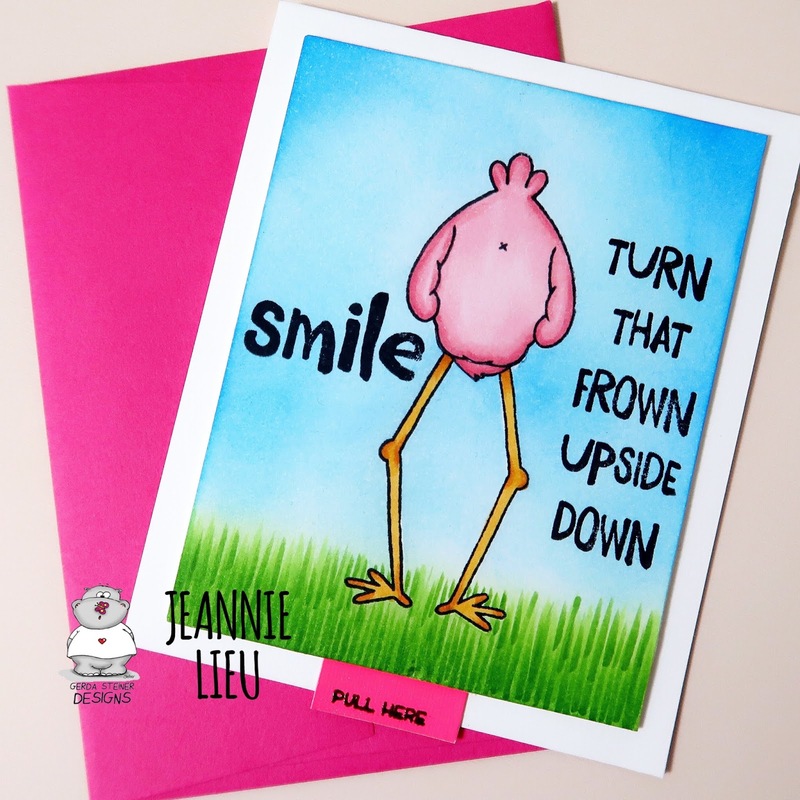 Check out the video below for how I created it and also all the supplies I used to create these two cards. Happy Friday! Today I’m sharing a card using the Vrooming By clear stamp set (Coming soon! ), which has a similar digital stamp image. Personally, I prefer having an actual stamp because I don’t have easy access to a printer so I was delighted to play with this cute image. I wanted to depict how fast the dog was going on his scooter and decided to do this using the second and third generation stamping. A stamp positioner is really helpful in creating cards where you need precision and I think it’s one of my most used tools. In this instance, I’m using it to help stamp the same image multiple times but shifted over just a little bit. Using some light grey Copic markers, I colored them lightly to help portray that he’s zipping by. It turns out pretty cool, doesn’t it? It’s a very simple card but I think the additional stamped images gives it enough to catch your interest. I hope you enjoy the card and try it out. As always, the supplies I used are also listed below. Have a great day!